With ample ground clearance and superior power to weight ratio, this machine is at the top of its class. The skip rotates 180o whilst tipping to over 90o. This large site dumper offers a true 9 ton payload. 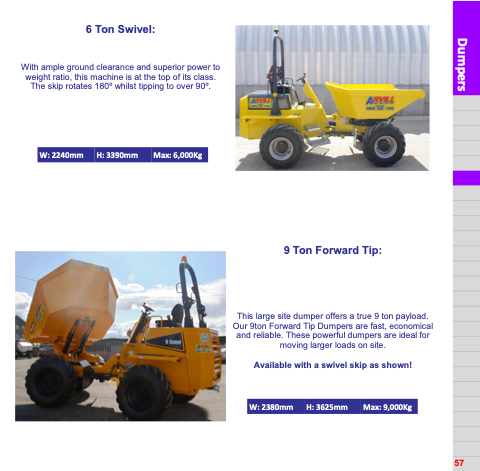 Our 9ton Forward Tip Dumpers are fast, economical and reliable. These powerful dumpers are ideal for moving larger loads on site. Available with a swivel skip as shown!